I've never been one for the traditional Boxing Day Sales, nothing really caught my eye this year, especially considering I'm feeling the pinch. However the one sale I was excited for was Lush. There was a rumour on Twitter that the sale would go live on Christmas Day, so I was anxiously checking the site. By Boxing Day, people were starting to get anxious, and when the sale finally did go live, the website crashed. It was extremely frustrating. However I finally managed to get my order through on the 27th. Despite an estimate of 2-5 days, my parcel finally arrived 2 weeks later. Not a huge problem, but I admit I was beginning to get a bit worried! However I was ecstatic to finally receive my goodies, and was happy to see they were extremely well packaged. Lush don't use the little black paper bags you get if you buy a bath bomb in store, which I admit is a little annoying, as it makes storage a bit more messy! 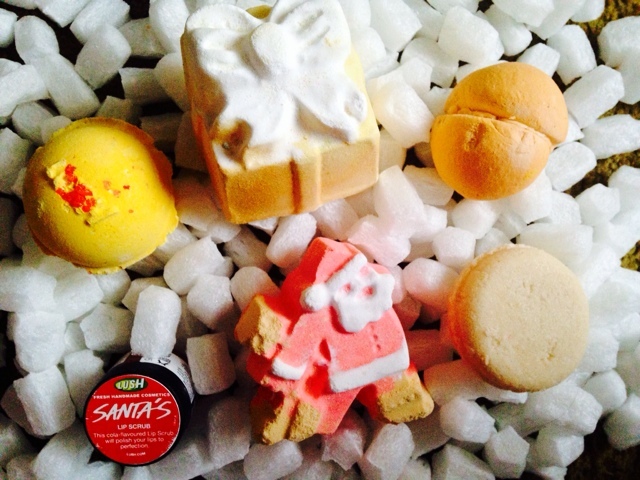 I managed to get my hands on some of the Christmas bath bombs that I regretted not buying earlier, as well as a few repurchases. I basically put most things that were in the sale in my basket. I got 11 items for just £24 including delivery, so I've got a stockpile which will last me at least a few months. 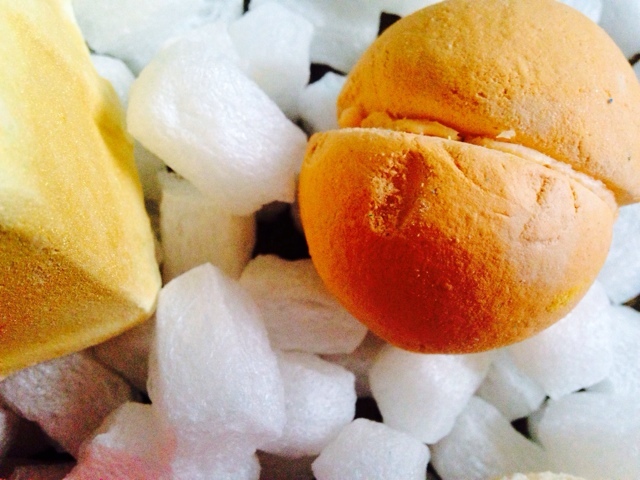 I can already tell that this bubble bar will be so softening and moisturising as the actual bubble bar feels really soft and buttery. 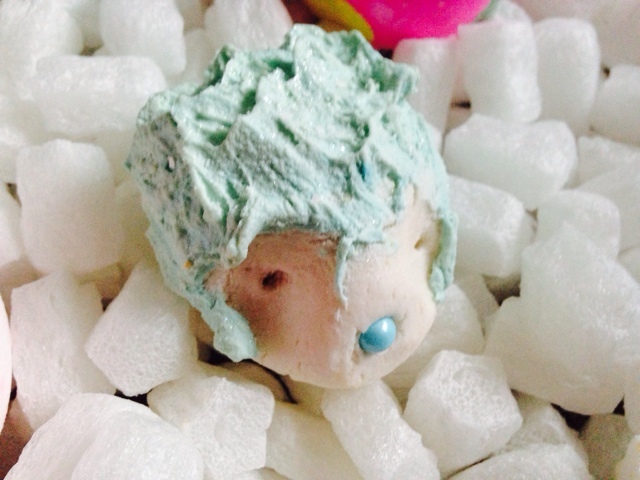 It contains Shea and cocoa butters and has a sophisticated rose and ylang fragrance. I'm not sure this is my favourite scent on first impressions but I'm looking forward to trying it in the tub to replenish my skin. 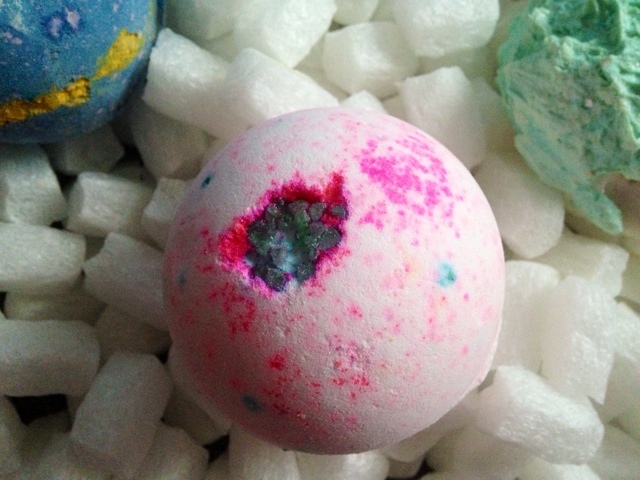 This is said to create pink coloured waters and is fragranced with the same scent as the Twilight bath bomb. It has tonka absolute, ylang ylang and lavender oils in it which is perfect for a relaxing evening bath. 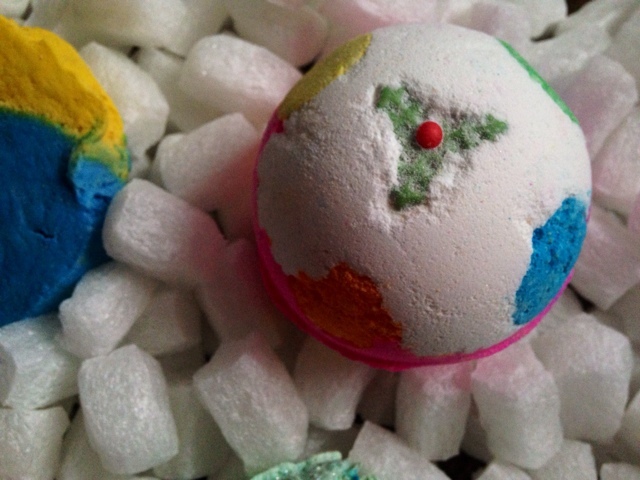 This is a cherry blossom scented bath bomb that contains salt. I think this one will be really detoxing and relaxing, and smells almost spa-like. 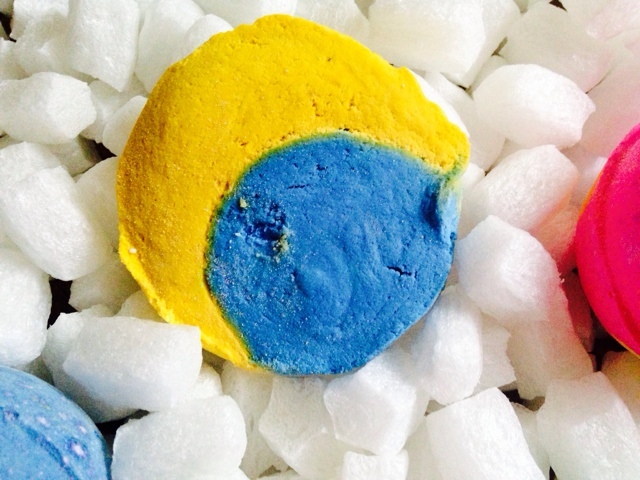 This is a Fireworks Night themed bath bomb which explodes multiple colours in the bath like fireworks in the night sky. It also has one of my favourite Lush scents: Honey I Washed The Kids and is said to turn the water a shimmering midnight blue! This was one I definitely regretted not buying before Christmas and was excited to see it in the sale! 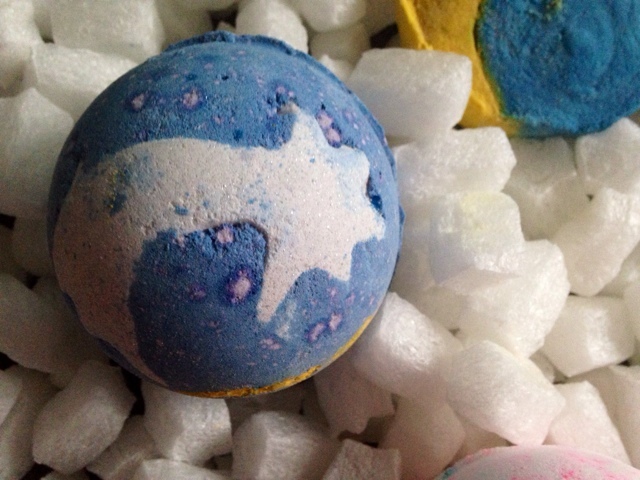 It has a gorgeous jasmine and ylang ylang fragrance, so different from my usual fruity bubble bars, and is based on the design of the moon. Mine must have been an extra one as it is a bit of a dodgy shape compared to the ones I saw in the shop! 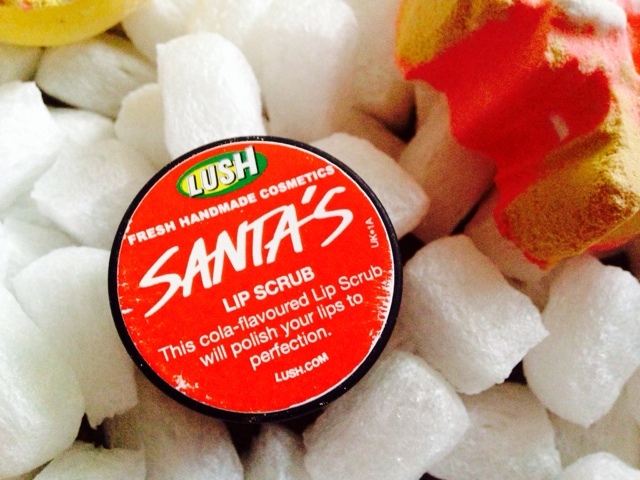 Sadly my Mint Julips runs out of date next month, so that's getting replaced with this cola flavour lip scrub. It's definitely something I need to use more often as it is a winter necessity. This is meant to fly around your bath tub and smells of Satsumas. 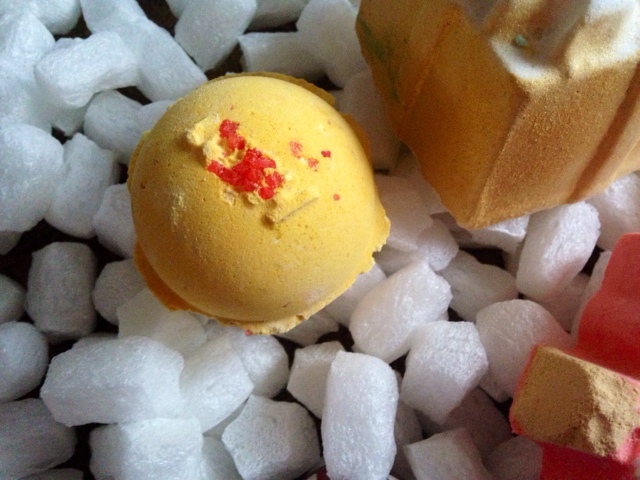 It is a sweet scent though, rather a sophisticated fresh blend of mandarin and bergamot oils and orange flower. I'm looking forward to trying this one. This is another repurchase. 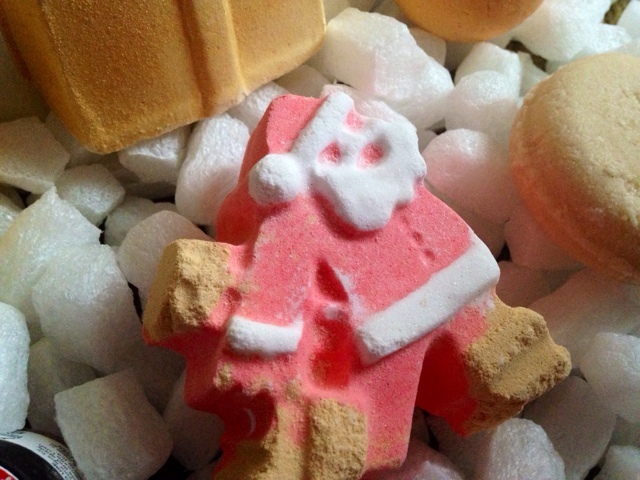 I enjoyed using this cinnamon scented bath bomb back in December so I jumped at the chance to get another at just £1! I didn't get much of the popping candy sensation last time. It is based on a crackling fire and is really cosy, especially on a cold winter evening. This was a repurchase of a product I got for Christmas. I haven't even used the original yet, but it smells incredible and I was really happy with the Rose Jam Bubbleroon so I thought at £1.50 it was a no brainer. Plus you can split this in half to get 2 baths. 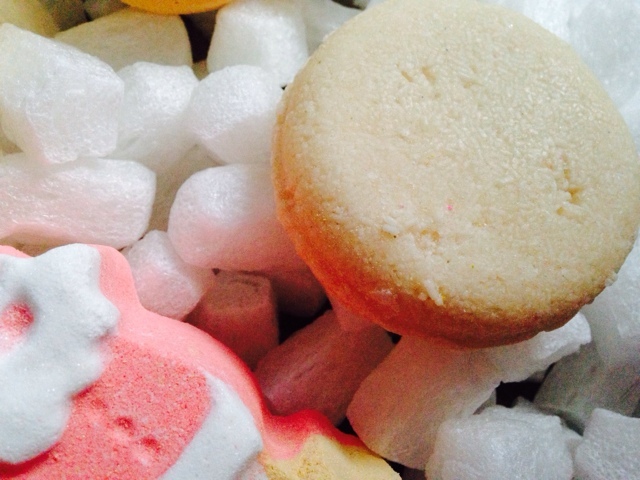 I've wanted to try a shampoo bar for so long now, but was always put off by the scents. I love this kind of honey/toffee scent so this is perfect for me. I've used it a few times so far and it is nicely moisturising yet makes your hair really clean at the same time. I'm hooked! This golden bath bomb is super shimmery! 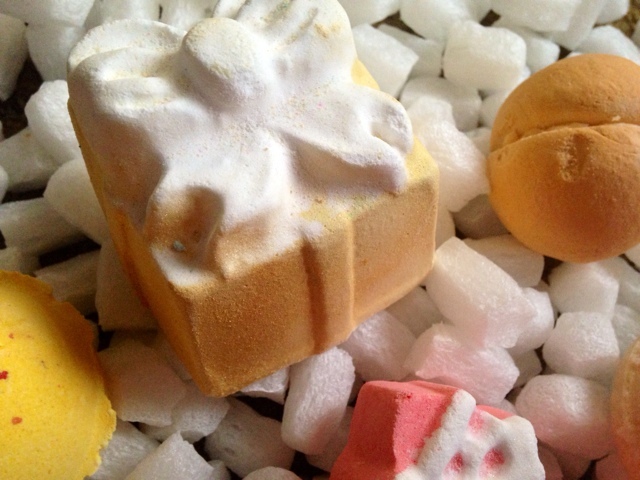 It has a luxurious citrus scent of sweet orange, lime and cognac and smells really lovely! By far my favourite out of the whole order! 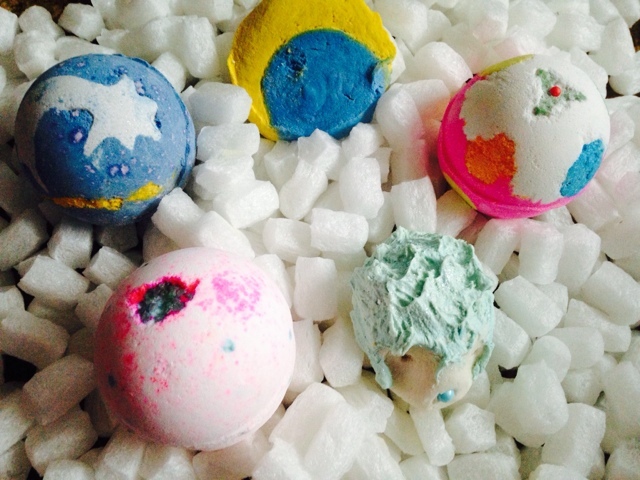 Are you obsessed with Lush too?